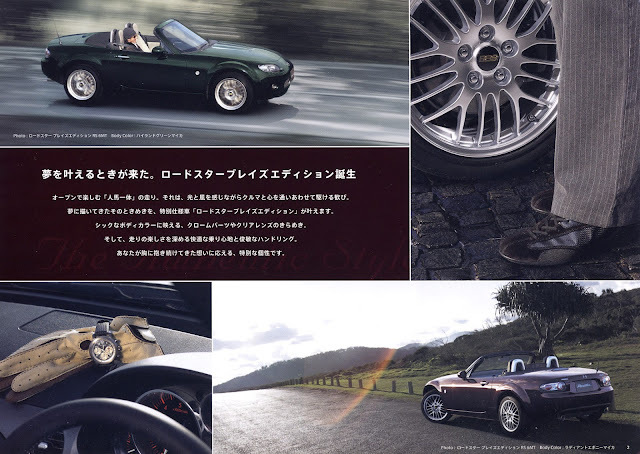 2007 saw the introduction of the Blaze special edition Roadster in Japan. 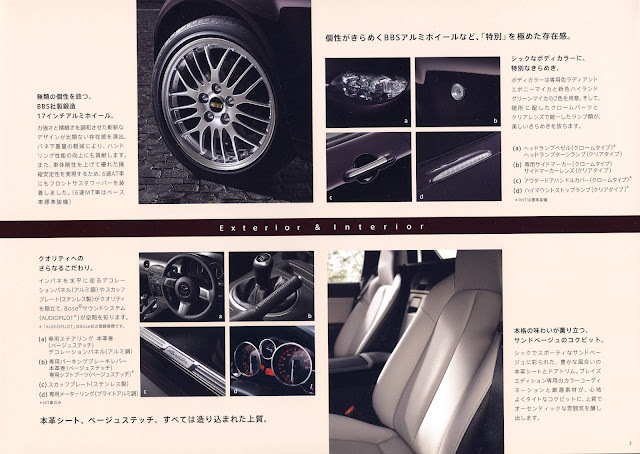 This edition is notable for the introduction of multispoke alloy wheels from BBS. They appear to be a version of the RG-H design. These BBS wheels were forged and therefore stronger and lighter than your average cast alloy wheel. 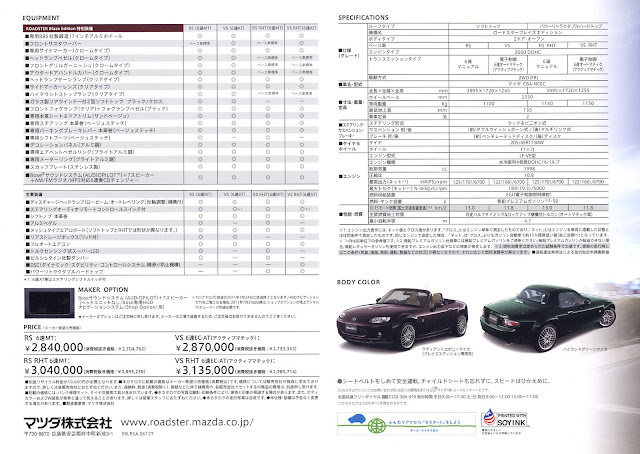 They also have a smart chrome style paint finish and cost more than double the standard Enkei wheels. 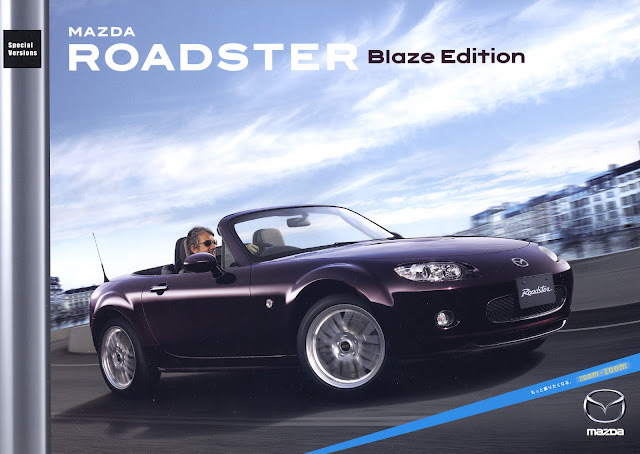 The Blaze model was based on the manual RS or automatic VS in either coupe or soft top configurations. Standard features included the Bilstein suspension and a limited slip differential on the RS versions. Special edition features include sandstone coloured leather interior, the chrome trim headlights as seen on 3G Ltd and Niseko, and some additional chrome trim pieces both inside and out. The headlights also had the standard orange indicator lens changed for the clear type as used on Niseko models. Blaze was available in two new colours, an exclusive dark purple mica known as Radiant Ebony, and a metallic dark green named Highland Green. 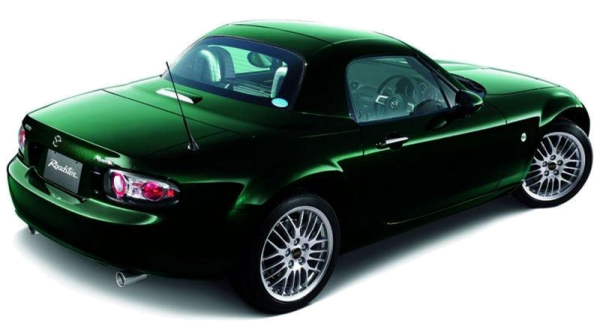 Both are very sophisticated colours that give a classy elegant impression that lifts the model above the average MX-5. 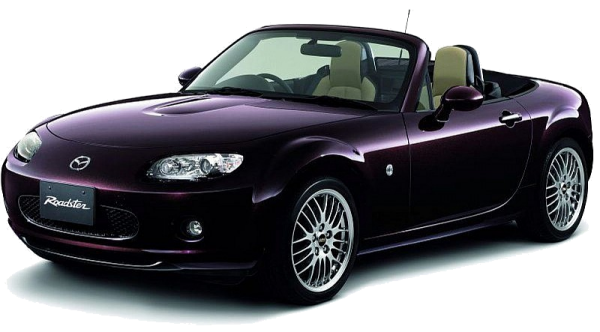 The colour scheme of the purple version reminds me of 2000's NR Limited model which also featured a dark purple paint known then as Art Vin Mica and a light coloured interior.